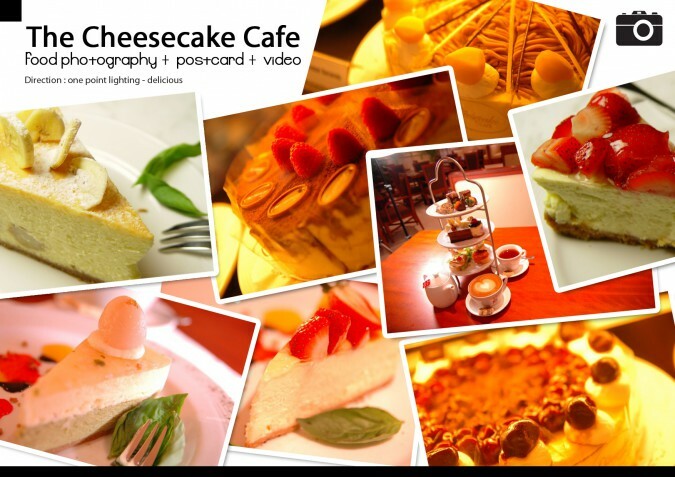 This is a promotional project of a cafe called The CheesecakeCafe located at Mega Box, Kowloon Hong Kong. The project includes photo taking, website, prints, video and some packagings. Photo are used for poster, menu, poster, website, video and other printed materials.